Great precision is required for this procedure in order to preserve each precious follicle harvested for transplant and prevent any damage that could compromise the viability of the newly transplanted hair. To aid our work performing follicular unit grafting surgery, we rely on the latest surgical instrumentation, including stereoscopic operating microscopes and digital video microscopes. These powerful magnification tools enable surgeons and skilled technicians to clearly see each individual follicle within the unit to be dissected. The following is an excerpt from The New Hair Transplant, a new book authored by Dr. Bauman, Dr. Edwin Epstein and Dr. Robert Leonard.Follicular Unit MicrograftingScalp hair—at the top, sides and back of the head—grows in groupings of individual hairs. When viewed using five to ten powers of magnification, we can clearly see clusters of one to four strands of hair growing from each follicle in the skin. We call these groupings, “follicular units.”Typically, the majority of scalp hair follicles (approximately seventy percent) contain one hair; an estimated twenty-five percent contain two hairs; and, less than five percent of follicles have three to four hairs.An average follicular unit measures one millimeter in size. And, each unit contains an average of 2.2 hairs. This is why it is possible to yield one thousand follicular unit grafts containing approximately twenty-two hundred hairs from a donor strip of scalp measuring one centimeter wide by ten centimeters long.With follicular unit grafting, we surgically harvest hair from the donor site keeping each unit intact. Once the hair follicles are harvested from the donor site, the resulting ‘donor strip’ is preserved in a saline solution while the surgical team tends to the task of dissecting the individual units.As part of this process, it is essential to trim away the excess fatty tissue surrounding the harvested follicles. This is a critical surgical step for two reasons. For one, each follicular unit must fit into the very small incisions that form the foundation of the new hairline. Additionally, trimming this tissue eliminates the occurrence of the unnatural gaps between each grouping of transplanted hair. (These wide spaces cause the “pluggy look” in patients who underwent hair transplants performed by surgeons using older, less sophisticated surgical techniques). Following the dissection and trimming processes, the follicular unit groupings of one, two, three and four hairs are meticulously implanted into each recipient site in the new hairline. As each tiny cluster of hair grows with little skin between the follicles, the patient will reap the benefit of a dramatically improved surgical hair restoration. New “Trichophytic” Donor Closure Technique Reduces Scar Visibility…Boca Raton, FL–The new “Trichophytic Donor Closure” technique allows for improved camouflage of a linear donor scar. Before the trichophytic (aka “tricho”) closures, a patient could expect their donor scar to be 0-2mm in width. Normally, the surrounding hair would easily cover the scar. 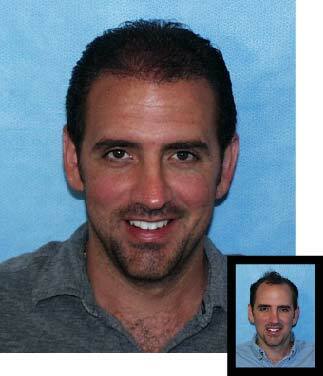 For some patients with very short hairstyles or buzzcuts, the resulting donor scar could sometimes be visible. The trichophytic closure is a type of ‘overlapping’ technique which results in hair growing directly through the donor scar. This can dramatically improve coverage of the donor scar in those with short hair. Dr. Bauman uses the trichophytic donor closure technique as a routine part of all of his linear donor harvests. For patients with short hair, this offers an acceptable alternative to FUE (Follicular Unit Extraction), which is typically a less efficient (and oftentimes more expensive) way to harvest hair from the donor. Dr. Bauman believes that there is still a role for FUE, but that the benefits of a trichophytic closure make FUE a somewhat less attractive option for some patients. As part of Dr. Bauman’s commitment to his patients, he has developed and invested in the latest technologies required to consistently achieve the high level of surgical precision at which he and the Bauman Medical Group surgical team work each day. In this photo, a Surgical Technician at Bauman Medical Group is dissecting individual hair follicles and follicular units under one of Bauman Medical Group’s powerful new digital video microscopes. Improved visualization of the follicles in the harvested donor tissue is now possible.